So now when you are finally fed up with western medicine and looking forward to getting connected with holistic medicine, but before that get a proper study regarding it in order to avoid any kind of risks. Make sure you don’t get associated with holistic health care for any serious kind of issue without talking to your traditional doctor and just don’t stop taking the prescription to start your holistic treatment. Treatment of the whole body: Traditional or western medicine is capable of curing the disease but not the person. Holistic Healthcare looks after the overall wellness and helps in giving healthy lifestyle. People basically appreciate holistic treatment because of its focus on the emotional, psychological and spiritual health of your body. Stress Reduction: Holistic health treatments like yoga, Massage, and meditation can help in reducing the stress. Stress actually seems like an emotional benefit, but stress has a huge impact on your overall health. Stress reduction will lead to killing your alcohol and drug abuse. Personal attention: There are many holistic health care treatments specifically developed for the individual patient. So, holistic practitioners also set an extra time for each of the patient rather than taking them to any other room. Less scientific approach: There are many administration and associations those have not regulated any holistic supplements. There is no way or path to confirm whether holistic remedies are actually giving any benefits or it just another version of snake oil. When it is compared with traditional or western medicine, then many questions are unanswered. Stuck in insurance acceptance: Now, just because of the scientific community which has not approved alternative treatments as safe and better for people, however seeing this, insurance companies have even refused to pay for them. Patients end up with a huge medical bill with no insurance help for them. Not reliable: Now when you are suffering from any major health issues and you really need attention, then don’t try wasting your time looking for an alternative treatment, as it can allow the disease to get worse. Most of the holistic supplements are not allowed to tell their ingredients, so you will end up taking something really bad which can harm your health. There are some of the supplements who are capable of increasing the risk of breast and prostate cancer eventually. Let me tell you something that there is a medical and scientific community that supports some of the holistic treatments. There are few of other therapies that must be taken seriously if you actually want a cure. The practice of hot stone massage toronto has been carried on for centuries all over the world. It is actually as ordinary as you can get; there are a number of benefits that this therapy will provide you and billions of cells that make us function. Yes, it is holistic; that means it is stimulating something good in your body system that influences other receptors positively as they connect with each other. To heal the complete body it is essential to attain a healthy equilibrium overall. 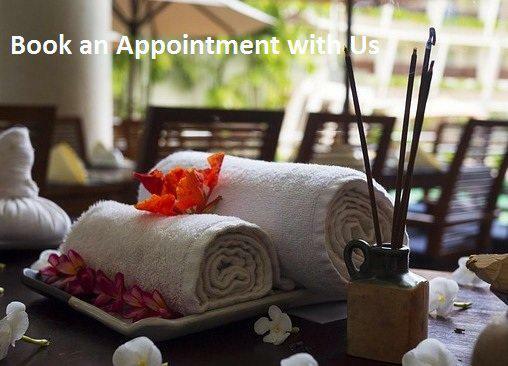 The expert therapist uses various techniques to work on the soft tissues and muscles in numerous ways so as to relax the different parts of the body. Massage therapy is also suggested and recommended by experts for post-injury and post-surgical restoration. It is also thought to improve immunity. So why are you wasting your time getting sicker, feeling more painful when you can get the right treatment for whatever troubles you right away with the help of these therapies. The faster you act in getting the right treatment that you are considering for, the healthier of you will be when it comes to getting assistance. Let me make you clear that there are several helpful aspects of these therapies, but choose the right experienced therapist.